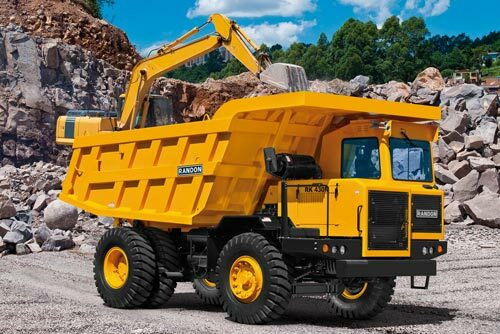 Positioned in different areas of the industry, road trucks and off-the-road (OTR) dumpers were designed to carry out the same basic function: transport material from one point to another, in a way to accomplish a previously-calculated plan. Both families are used in a wide range of applications, including quarries, heavy construction, industrial applications and underground mining. Out of these fields, however, there are considerable differences between both types of equipment—starting from size, toughness, capacity and useful life of each one—not always noticed by lay observers. 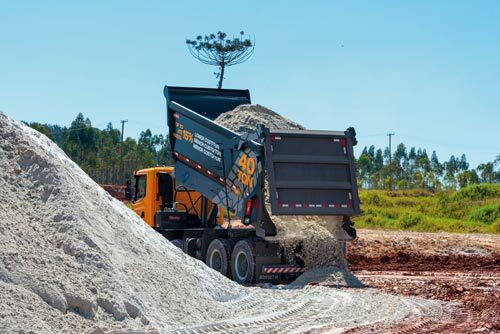 According to Karine Bergamini Madureira, manager of strategic planning from Komatsu Brasil, OTRs are machines directed for removal and transport of large quantities of material in tough conditions and environments, mainly in mining operations, where the use of road models is technically and financially unfeasible. “Off-road trucks are cost-effective to do this high-volume moving, reaching up to 400 t per cycle, against 40 t of road trucks”, points the expert. For Miguel Gómez, consultant of load transport equipment from Caterpillar for South America, another differential of OTR trucks is their toughness. “Broadly speaking, this involves special engineering of axles, final drives, reinforced housings, special rims and other items that ensure higher durability, shorten work cycles and improve mechanical availability, generating higher profitability”, explains him. 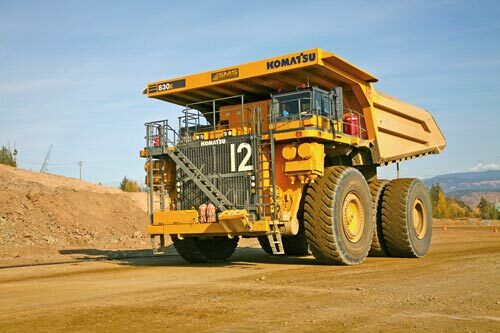 In the case of OTR trucks from Komatsu, Karine Madureira assures that they may last up to 12 years. According to her, they are products with a high level of on-board technology, what allows following in real time the main indicators of maintenance, operation and even worksite conditions, providing the necessary information to ensure safe work and monitor equipment’s “health”. In turn, Gómez states that Caterpillar off-the-road trucks are overcoming records of age. “It is still possible to see currently the 769—a model that started to be produced in 1962—working in several projects, with more than 50,000 operating hours”, says him. In this list, the company has a wide range of products, starting from 40-t options for small quarry areas and going to 400-t behemoths used in massive mining applications. Due to the difference in dimensions, load capacity, operation and other items, the option between road or off-the-road trucks lays directly on their application, type of work to be carried out and traveling distance. “For closed mines and long-distance transport (above 5 km) the second is a better choice. But for open-sky operations in short distances (up to 5 km), the first is the best”, contexts Dalla Nora, from Randon. There are still other factors that have to be considered. Many of them are related to the profile of the mine and its operating cost. Dalla Nora shows an example. To reduce costs with blasting and drilling, OTRs are cost-effective if compared to road trucks due to their reinforced structure and to a bucket that allows the transport of rocks with diameters up to 800 mm. “This reduces blasting cost and increases their agility in terms of discharging”, details the expert.